One year ago today, I became an official business! As in I got my LLC and federal tax id, all the super fun legalities of being a registered business owner in the US and VA. And what a year it had been! I was full of hopes to make this dream of mine a reality, and there have been so many things I’ve learned along the way. I’m sharing the top five things I’ve learned in my first year of business as a wedding photographer! In an industry where it’s so saturated with so many other incredibly talented photographers, it’s inevitable that you’ll compare yourself to the hundreds of other photographers. And the reality is that it’s hard sometimes to NOT to. But the amazing thing that I learned is that there could be thousands and thousands of photographers in your area but there is no one like YOU. You are your own brand, your followers or clients or brides like you because you’re YOU! Instead of focusing on all the things that everyone else is doing, focus on what you have and what you are. You are talented, you are significant, you have a God given gift. This is something I have to remind myself often but to my new baby photographers, the ones who are feeling let down and like they’re not worth noticing: take heart, you ARE important and you are enough. Being a business owner takes up a lot of your energy and time. I wasn’t expecting to find myself working hard on my computer editing away or creating content at 2am some days, but there I was. I worked so hard on my business, I wanted so badly for it to succeed. My business was my second baby. I hustled, and I worked at it every day. But I started to feel extremely tired and burnt out. My husband was often the one to remind me that self care and taking a break was okay, I could put the laptop and phone away for a day and things would still be there later. I learned about halfway through the year that I needed to set boundaries for myself, otherwise I would work myself into the ground. So I decided after dinnertime, it was quality time with my son and husband. We’d play with Luca, put him to bed and watch an episode or two of Chopped. Then I would pick up my laptop and work for an hour or two on scheduling content before heading to bed myself. On the weekends when I wasn’t off shooting a wedding or engagement, I tried really hard to keep my laptop away so I could spend the most time with my family. It’s okay to take a break for a day, a weekend, a week even so you can recharge! Don’t burn yourself out just for the sake of hustling it. Be generous with yourself and give yourself some breathing time. It’s OKAY to go out with your friends to eat and watch a movie. It’s OKAY to not answer every email the second it comes in during dinner time, dinner with your family is more important. It’s OKAY to shut the laptop down and put the phone away for a Game of Thrones marathon (my preferred option!) Give yourself grace and recharge. You’ll feel better after you do. Hey, running a business isn’t easy. Hell, it’s one of the hardest things I’ve ever done but it’s been so worth it! You’re juggling a lot of hats: photographer, bookkeeper, social media marketer, editor, customer service rep, CEO, etc. all while being a daughter, a wife, a mother. It’s lonely when you’re a one-woman show, but yet… behind the scenes there are your biggest supporters. Your husband, your parents, your siblings and best friends. Surround yourself with family and friends who support you! The ones who will always cheer you on. They will pick you up on a hard boss day. Your friends may not have the solution to a tricky edit or client but they will take you out to a girl’s night so you can enjoy yourself. Your family can offer solutions and your siblings may offer funny jokes to help you feel better. They will be your biggest cheerleaders and you know no matter how stressful it may be, you can do it with the right support behind you. I’ve been on a wild roller coaster ride this year. It was my first OFFICIAL year and I rode through the lows of self doubt and the highs of “Yes, I can TOTALLY do this!” It wasn’t easy, it wasn’t smooth sailing. Sometimes weeks would go by with only the sound of crickets (major stress!) and some other weeks, inquiries would be flying in daily. The uncertainty of it all isn’t for the faint of heart. BUT through it all, keep pushing forward. The joy I have gotten both personally and professionally have been amazing. I was able to build my business as I was raising my newborn. I was able to meet so many incredible couples that have become friends. I’ve met so many talented vendors and other photographers that I look forward to working with again in the future. I have a desire to keep learning in photography, to keep evolving my business and to grow more as a person. To see how far I’ve come in just one year, is amazing. Even more seeing from where I first started with my first wedding ever in 2015. Keep pushing forward. You will be proud of where you’ve built up from. You’ll always be growing and evolving as a person and as a photographer. Just keep going forward. It’s been an amazing year. So many beautiful weddings, an amazing educational conference, second shooting for photographers I’ve admired, learning more about myself… I am so thankful for the opportunities and for the business I’ve been blessed with. 2019 is full of more education, and is an open clean slate for growth and incredible opportunity. Cheers to one year!  Happy birthday, MJMP; I can’t wait to see what year two has in store!